Painting Ideas for Kids - C.R.A.F.T. Once kids learn to stay in the lines a whole new world of art projects opens up! 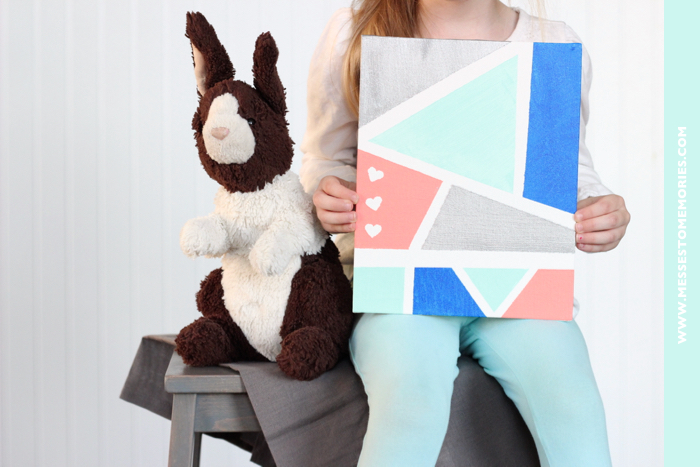 One project I have looked forward to for a while is having the kids create their very own color block art for their room. 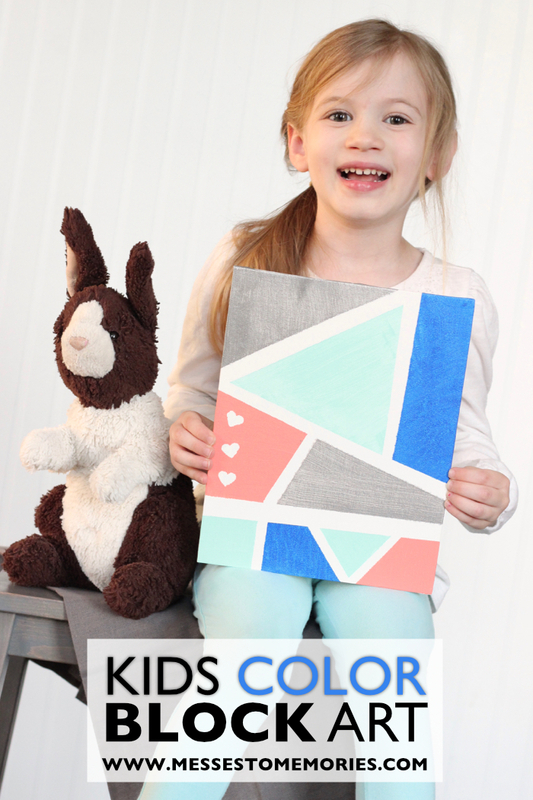 This is a fun and easy art project for kids! We decided on using bright, fresh colors! Perfect for spring time. This color block art is a great way to add a pop of color to a room. We decided to do a test run with some canvas and paint. This piece is for the office! I love these colors and can’t wait to add this to the shelf for a little extra happy in the room. Depending on the age of the kids, help them place their painters tape to make different blocks on their canvas. It’s nice to have all different sizes and shapes. We placed some heart stickers in one of the blocks to paint over. We are going to grab some letter stickers for next time so they can spell out their names. Decide which colors go in which block and then start painting. Be careful to keep each color separated from the others and in the nice clean lines. Once the paint has dried, pull up the tape. Now you are ready to display your artwork for the whole world to see! Gorgeous, huh? I can’t wait to do some more of these color block art pieces. We have a few more great ideas for projects that the kids will love. Check out this Spring Flower Craft or any of our awesome ABC Series posts!